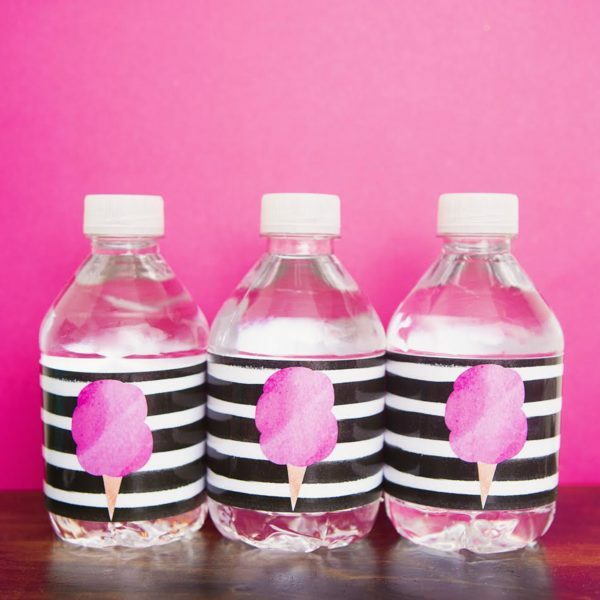 The Summer Printables You Need to Have the Best Summer Ever! Hey there, friend! I’VE GOT SOMETHING I NEEEED TO SHARE WITH YOU!! So, I just love the blogger bundles that The Dating Divas have put together over the past six months. The Christmas one was amazing and stuffed full of awesome things I put in my family’s stockings. And the Valentine one did double duty for our anniversary and Valentine’s Day. It was a total lifesaver for me. And the Divas are back at it again with a new bundle – ALL THINGS SUMMER Printables! Of course, The Dating Divas have set up a CRAZY GOOD deal so you can get in on all that awesomeness. And this bundle is really, REALLY awesome. Promise. If you’re hoping for a fun, meaningful, and memorable summer, this is the bundle for you! I teamed up with The Dating Divas and 15 other incredibly awesome and talented bloggers to create the ULTIMATE printable Summer Bundle. That’s right, that means you can use these printables again next year, if you want!! Just save ’em to your computer and hang on to them until you need them again. Total deal SCORE! This bundle is even better then the last one! Seriously. So, are you wondering just what is in this bundle anyway? Well, how does this sound? Over 300 PAGES of printables – make all the copies you need! Over $400 worth of products for a super low price – Just $15-20! Games, gift ideas, boredom busters, road trip activities and other fun activities from some of your favorite bloggers and designers so your summer is easy, breezy and amazing. I’ll give you all the juicy details in just a second, but there’s something important you should know… This deal only last for THREE DAYS!! Then it’s gone forever. So, don’t miss out! Buy early and SAVE BIG. If you wait too long – after the 19th at midnight MST – and this deal will be gone FOREVER! Just one of these products ALONE can be around $20 on Etsy! The printable Father’s Day Activity that I contributed is currently listed (and SELLING!) for $12 by itself in my Etsy shop. Get this great Father’s Day Gift AND 390+ more pages of printables for just a little more! How can you pass that up?! WHAT’S IN THE ALL THINGS SUMMER PRINTABLES BUNDLE? 1. Road Trip in a Box by The Dating Divas– The Dating Divas printables are always top-notch and this is no exception. 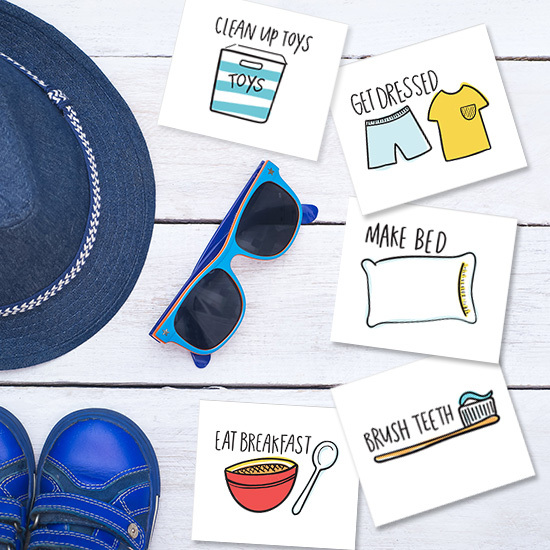 If you’re making any road trips, this amazing printable kit will entertain the whole family with new activities for EVERY hour! 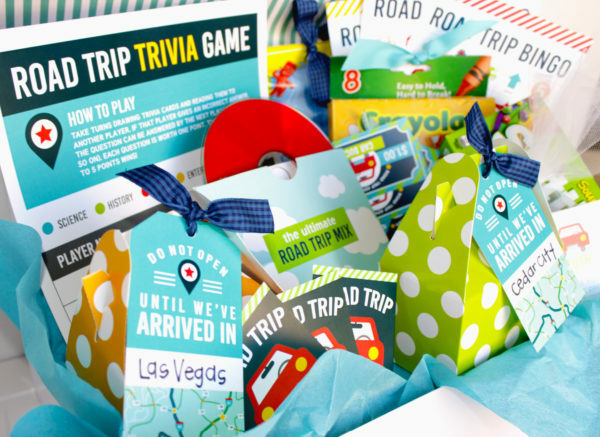 Road trip games and activities include: Destination Activity Tags, Road Trip Bingo Game, Good Car Behavior Rewards, Road Trip Music CD case, Road Trip Truth or Dare Activity, Exciting Road Trip Trivia Game, and Complete Instructions! 2. Kid’s Activity Boredom Printable Pack by A Girl and a Gluegun – I’ve loved A Girl and a Gluegun for years… seriously. It’s one of the first blogs I read back before I ever started mine. Her projects and printables are amazing and this boredom pack is full of amazing activities and ideas to get your kids to create, write, draw, doodle, play and imagine! Print them out over and over again to continue the fun! Lot of these would be be perfect for car rides or trips– Or to use during spring break or summer! 3. Summer Chore Cards by Alexa Z Design – Jumpstart and end your summer days with these adorable chore charts cards. These illustrated cards are perfect for your toddler or school age child. The best part about these cards is that YOU can choose pick and choose which ones work for your child and arrange them in the order that best suits your routine. 4. 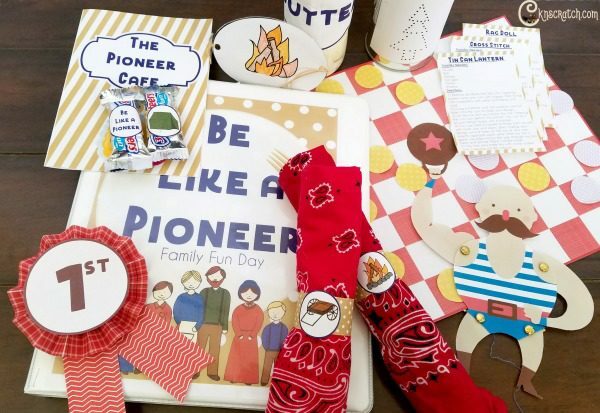 Pioneer Family Fun Packet by Chicken Scratch n Sniff – Do your kids ever ask about the “Olden Days”? Let them step back in time and be a pioneer! 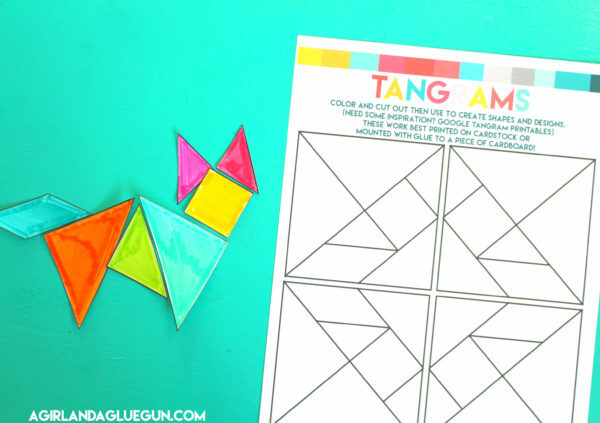 This Family Fun Packet includes 7 sections full of activities, printables, and loads of fun. Cook bread over the fire, play Fox and Geese, make a tin lantern, go star gazing. There are even ribbons to make for friendly competitions. All you need to do now is pick a day to start the fun! 5. 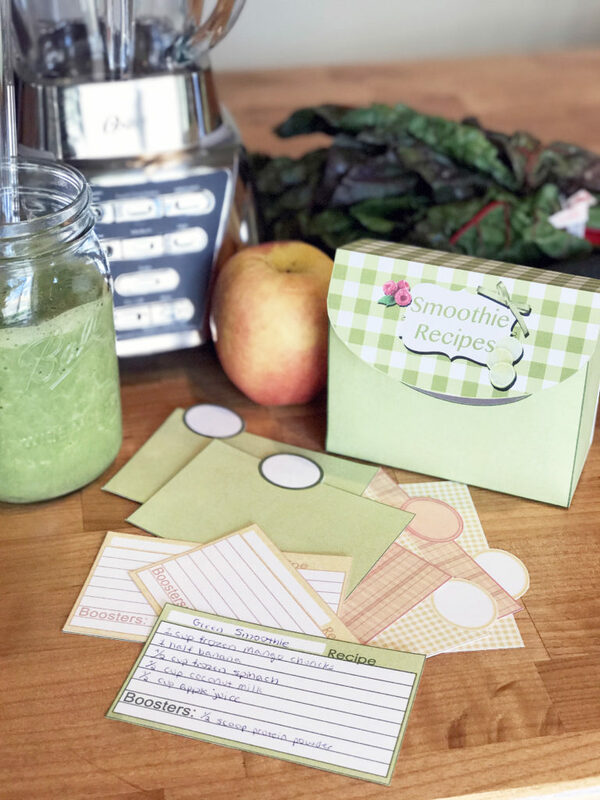 Printable Smoothie Recipe Box by Homemaking Organized – This snazzy Smoothie Recipe Box will help you to bring together all those great smoothie recipes that you have scattered far and near. Keep it your kitchen for easy access with making that delicious breakfast smoothie. Who doesn’t LOVE a good smoothie? 6. 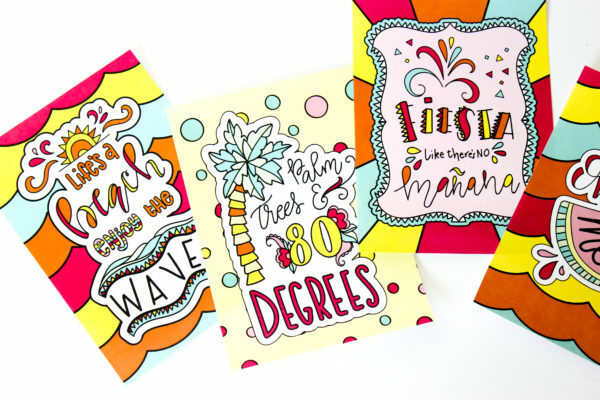 Summer Party Printables by How Does She – Throwing a summer party? These cotton candy/ice creamed themed printables are just what you need to put the “icing on the cake”. The colors and design are the perfect touch for neighborhood party or BBQ the summer might bring! The colors are gorgeous, don’t you think? 7. Kids’ Summer Reading Bundle by I Should Be Mopping The Floor– Get your kids super excited to read their way through summer vacation with this fun and interactive Kids’ Summer Reading Bundle! Start by filling out the bucket list with your kids to decide which books they will CONQUER this summer! 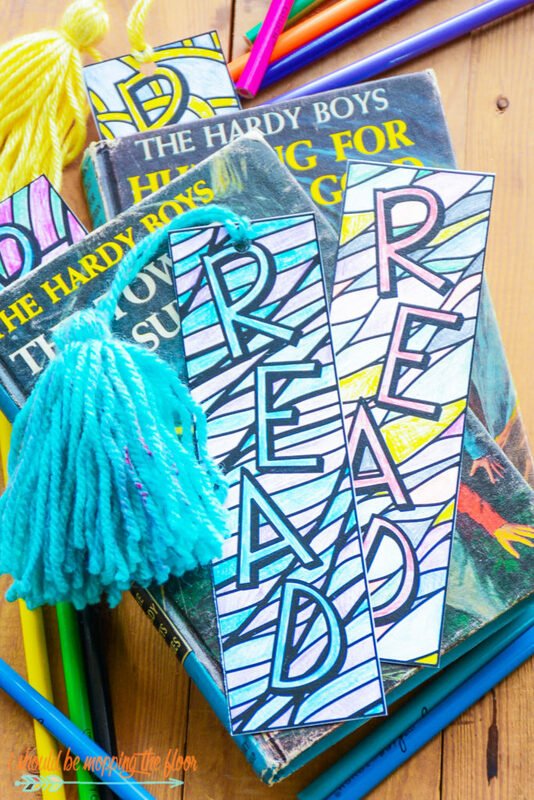 Color and cut the fun bookmarks – because you gotta have a great bookmark! Then keep up with the reading logs (for little AND big kids) to track progress the entire summer – just think how much easier it will be to get the kids to do their reading log homework when school starts again!! Don’t forget to hand out the certificate of completion at the end of summer to congratulate your little reader! 8. Summer Activity Book and Journal by Inspiration Made Simple – Another site I have adored for a long time and this amazing activity book and journal will keep your child entertained at home or on the go. Each day, have your child take out their Summer Fun Activity Book and Summer Journal and complete one of the 4 activity pages, write in the journal pages using the writing prompts if necessary, tackle one of the items on their Summer Bucket List, or read a book and fill in their reading chart! I tried to get my oldest to document our mega road trip last year, but used a huge blank journal that took me HOURS to prep for him. This year, I will be printing this instead!! 9. Summer BBQ Party & Father’s Day Cards by Less Ordinary Designs – Have friends over and enjoy the summer sun by hosting a BBQ. This package includes an invitation with editable text and a festive “Happy Summer” banner to hang up on party day! Then, let Dad know that you think he’s the best with one of these Father’s Day cards. The plaid card even includes an editable field so that you can fill in your favorite dad’s name! 10. 3 Kid Printables by Mom Explores South Florida – This pack includes 3 different printables! First, help you child learn to count with a fun activity using the “How long is the earthworm” printable. 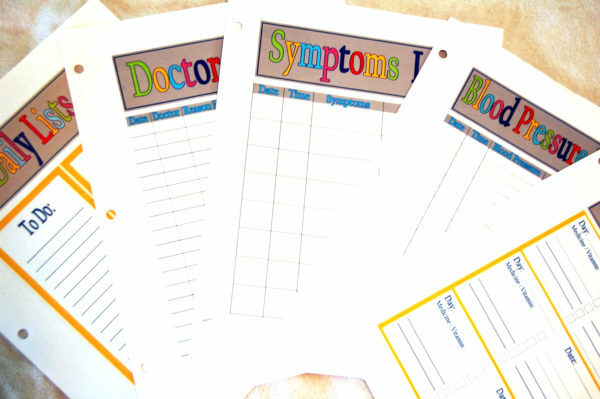 Then, use the Medical Binder Printables to stay organized with your child’s important information. Finally, print out a fun sticker chart and put it on your toy box! Every time your child puts their toys away add a sticker! 11. 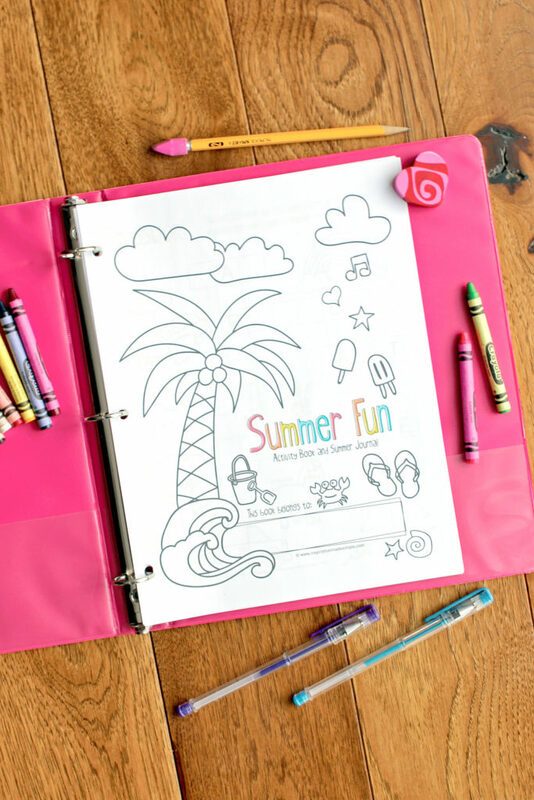 Summer Fun Coloring Pages and Art Prints by Printable Crush – This Summer Fun Coloring Pages pack includes 9 hand drawn and hand lettered designs that you can print out and color as many times as you like! It also includes 8″X10″ and 5″X7″ art prints that are already colored in with bright summer colors. The best part is that adults and children will love these amazing designs! Print yourself an extra copy of this one! 12. 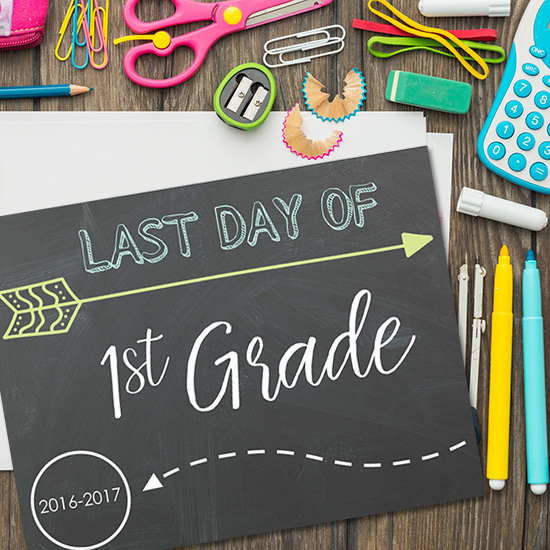 First & Last Day of School Photo Prop by Sarah’s Mommy Suite – These first and last day of school photo props are EDITABLE! Just highlight the year at the bottom of your desired page and and type in the current school year. Print the page on cardstock and have your child hold it while you take a picture on their first and last day of school. You will be amazed to see how much they have grown during the school year. And these posters are so ADORABLE!! 14. Essential Summer Recipe BLAST! by That Crazy Oil Lady– Do you LOVE essential oils? Whip up some crazy-awesome Summertime recipes in the kitchen and in your home with the Essential Summer Recipe Blast and Printable Art! These beautiful recipe cards are great to create some beachy memories around the home, gift to a friend with some essential oils, or use as a gift tag along with the recipe you make yourself when you give it to someone! This beautiful bundle includes 2 pieces of framable wall art as well! Total score for both the oil novice and the more experienced! 15. Memory Matching Game by The Girl Creative – The perfect boredom buster for school aged children on a hot summer day. Choose between 3 different summer themes and play alone or with a friend. With the BONUS matching bags for each theme, these games would make a great gift idea. This is such a fun idea… and I can’t wait to give them to my older boys during “quiet time” this summer. 16. Indoor Mini Golf Family Pack by Two Best Friends In Love – The indoor miniature golf pack is a great way to have some major family fun while beating the heat this summer! 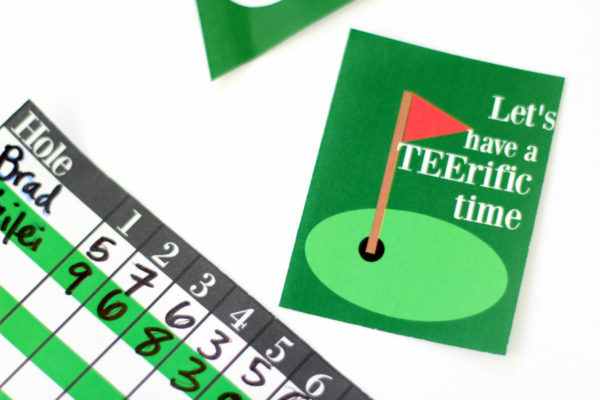 The pack includes invitations, score cards, and cute notes to get your family excited about your big golf game! Also included are some super fun obstacles to make your game more interesting. Just add some plastic cups, a golf ball, and a club and you’re ready for a day of family fun, all from the comfort of your living room! I did an indoor mini-golf game for Mr. Napping and my 5th anniversary. My kids were so jealous. Can’t wait to try this one with them this summer! 17. 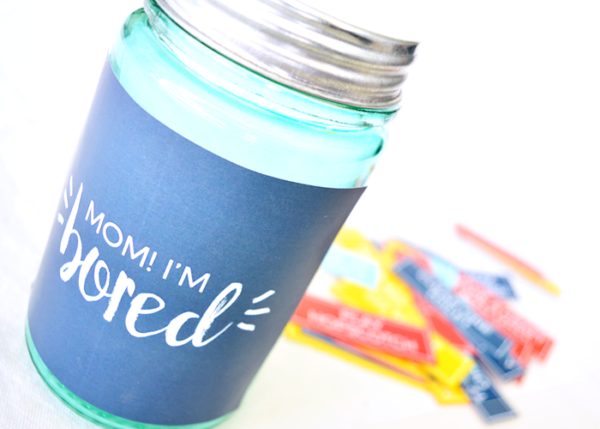 “Days With My Dad” Father’s Day Activity Jar by While He Was Napping – Yep, that’s me. What little princess or valiant knight doesn’t love to spend time conquering the world with Dad? My husband and boys would plan to spend time together, but would spend so much time trying to decide what to do, they didn’t have much time to actually do anything. 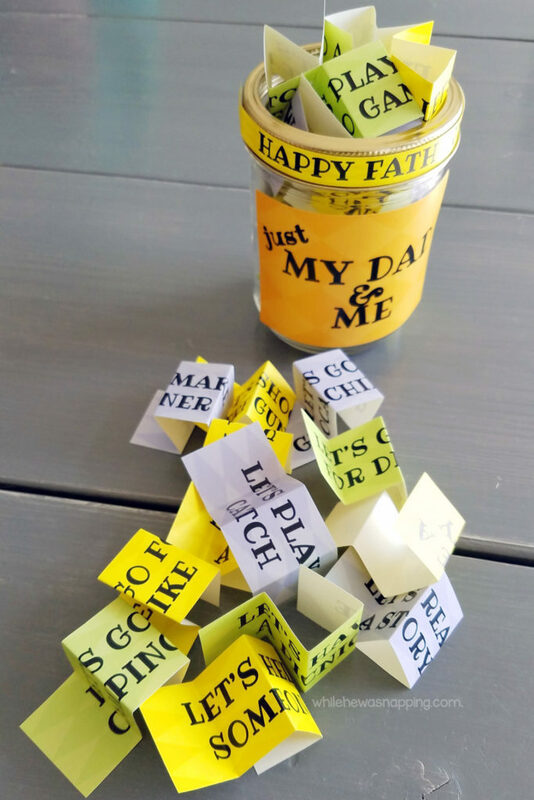 With this project, the kids can create a “Days With My Dad” Jar so Dad and his favorite little ones will never be without fun ideas and activities to explore the world. The Days With My Dad jar is a great birthday, Father’s Day or just because gift. Older kids can do this project on their own, younger kids will need some help. It takes 30-60 minutes to put together and requires no special materials! 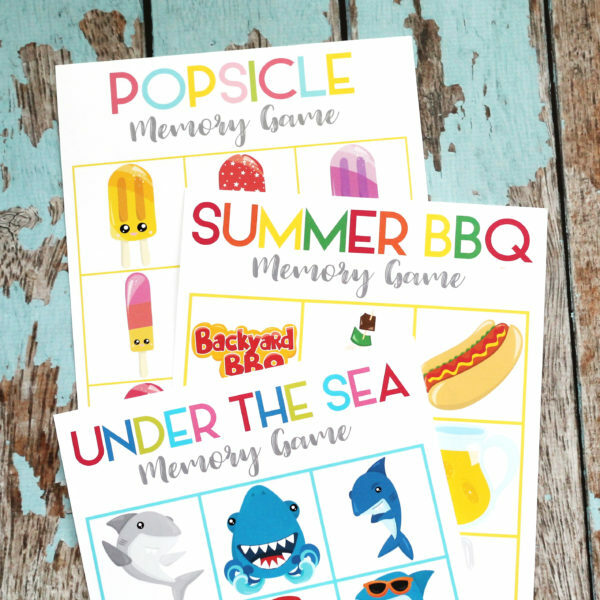 BONUS WHEN YOU GET YOUR ALL THINGS SUMMER PRINTABLES BUNDLE HERE! Sounds like a pretty awesome bundle, no? Did you see all those printables?! I really can’t pick a favorite. BUT, I’m not finished yet. If you click over and purchase your All Things Summer printables bundle from this post or from one of my social media posts, you’ll get a bonus!! Mother’s Day is coming up soon. To help you out with that as well, you’ll get my Mother’s Day Coupon Booklet when you purchase the All Things Summer printables bundle through one of my links. To create your coupon book, all you have to do is print off the coupons, cut them apart and make a cover. Punch holes in the tops and tie with string for a fun Mother’s Day gift (or grandma gift)! 30-45 minutes and you’ve got a great gift that keeps on giving… the gift of time. WHEW! So there you have it. Pretty much everything Summery you could ever want. And for only 15-20 buckaroos for OVER $400 worth of goodies??!}! SHEESH! Sign. Me. Up. It’s only available for THREE DAYS! Midnight MST on the 19th, this deal is gone FOREVER!